President Trump on Wednesday signed a bill guaranteeing back-pay to federal workers furloughed during the partial government shutdown that began in December. The White House announced that Trump has signed the bill in a brief statement Wednesday afternoon as the partial shutdown dragged into its 26th day. 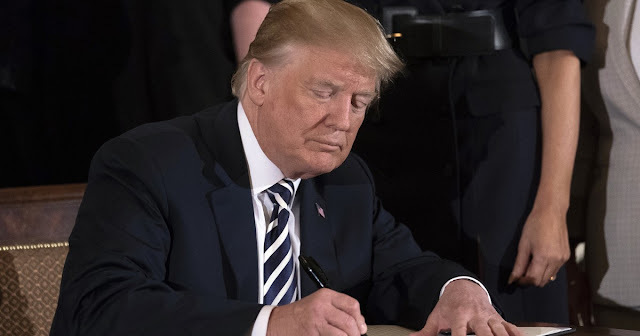 Trump had been expected to sign the law after both he and Vice President Mike Pence indicated support for the measure while it was still in Congress. The legislation was a moment of rare bipartisan agreement between Trump and the new Democratic-controlled House of Representatives, which has refused to comply with the White House's request for more than $5 billion in funding for construction of a border wall in any bill to reopen the government. "I'm also pleased to report to you that with the full support of the president of the United States, just moments ago the House of Representatives passed legislation that will ensure that all the dedicated professionals at Custom and Border Protection and all of the agencies affected by this shutdown will be paid in full," Pence told U.S. Customs and Border Protection agents during a visit to the agency's Washington, D.C., headquarters. "Your families will get your paychecks," he added. Trump has also questioned why Speaker Nancy Pelosi (D-Calif.) is receiving a paycheck during the shutdown, while dozens of lawmakers on both sides of the aisle have pledged to donate their salaries or otherwise refuse them amid the shutdown. The White House also faced criticism earlier this month over planned pay raises for Pence and other top officials during the shutdown, which the Trump administration later directed federal agencies not to implement.